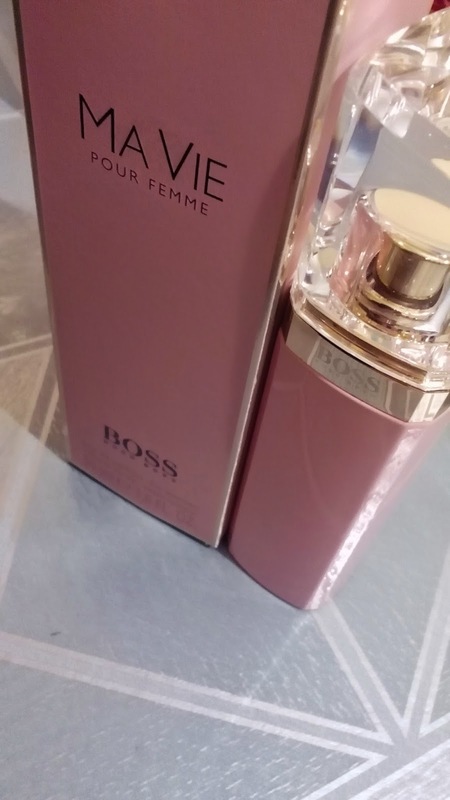 I received the BOSS MA VIE Pour Femme Eau de Parfum (50ml) to review for my readers. The BOSS MA VIE Pour Femme is a trio with BOSS NUIT Pour Femme and BOSS JOUR Pour Femme. The design of the bottle is similar to that of BOSS NUIT Pour Femme and BOSS JOUR Pour Femme. However, instead of the sleek darkness of the former, this bottle has a delicate mellow pink shade and the simple, light design of the latter. The crystal lid is precision cut, and the gold band adds a sophistication to the bottle.